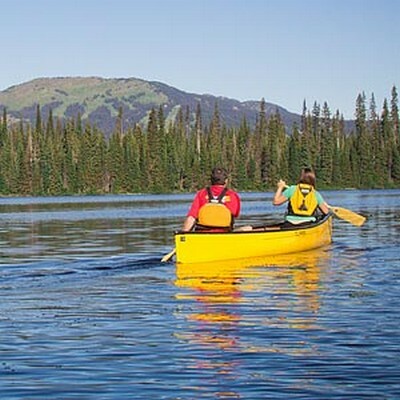 Explore nearby and beautiful McGillivray Lake with Sun Peaks Canoe Rentals from our friends at Discover Sun Peaks Adventures – another one of many Best Sun Peaks Summer activities. Experienced canoe users can rent canoes and tour this picturesque lake for either a half day or full day, and each canoe comes equipped with all the safety gear you require. 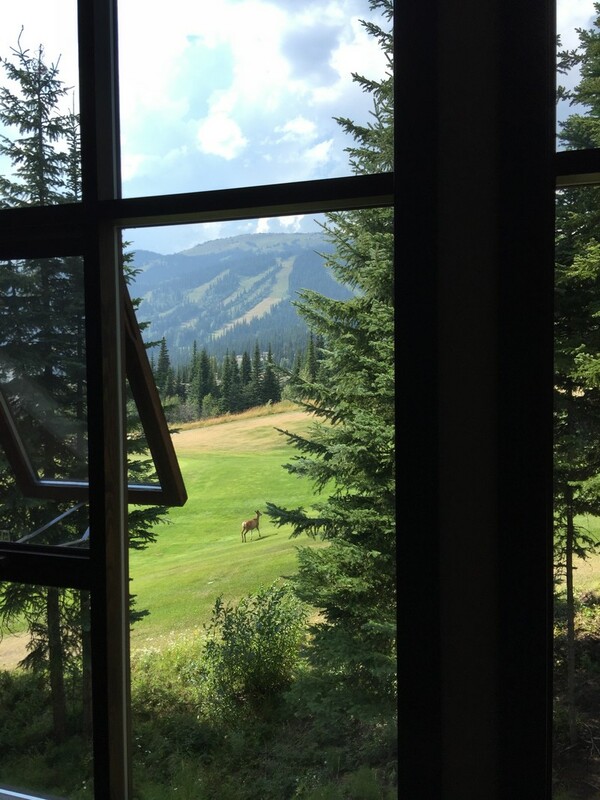 For safety reasons, previous experience is required and users know the benefits of this fun, family activity, including being a low impact, aerobic, strength and flexibility increasing way to tour the beautiful lakes of the Sun Peaks Resort area. McGillivray Lake is about 6 km away from the village (10-15 minutes along a gravel logging road) and is home to a small forestry services Sun Peaks camping site, the winter Nordic skiing and snowshoe warming hut, a small dock for launching car-top boats for fishers in search of rainbow trout, guided Voyageur Canoe Tours, Sun Peaks kayak rentals, and is also a great spot to bring your stand up paddleboard for a beautiful and serene paddle around the lake. The trail to McGillivray Lake also makes for a nice walk or fairly flat Sun Peaks mountain bike ride. Watch and listen for the soulful cry of loons who frequent the lake, watch along the shoreline for deer (we spotted two mule deer swimming across to one of the little islands), moose, fox, beavers, and perhaps even a black bear or two, or look up to see Bald Eagles or Osprey soar effortlessly overhead in search of a trout for their dinner! 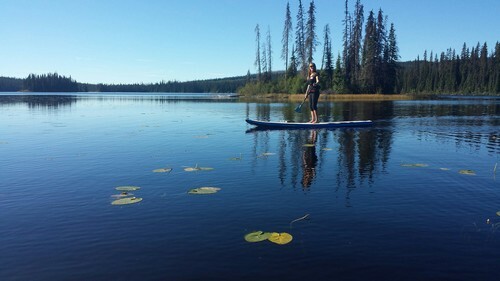 McGillivray Lake is surrounded by forests, provides beautiful views of Tod Mountain and the neighboring area, and is around 2 km long and quite shallow, with water lilies floating throughout. Bring your camera, some water, bug spray and sunscreen, even though the temperatures are moderated by the high elevation. Sun Peaks canoe rentals are available from 9 am til 5 pm, and will only cost you around $87 for an 8 hour day or $47 for a 4 hour half day (morning or afternoon – your choice), plus taxes. It’s best to reserve ahead of time by contacting Sun Peaks Canoe Rentals at Discover Sun Peaks Adventures, the Sun Peaks Adventure Centre, or completing and submitting the form below. Check-in ahead of time at the Adventure Centre in the village and then drive to McGillivray Lake (click for directions) where your canoe will be waiting for you. low impact and low wear and tear on the joints which is great for gracefully aging people like us!